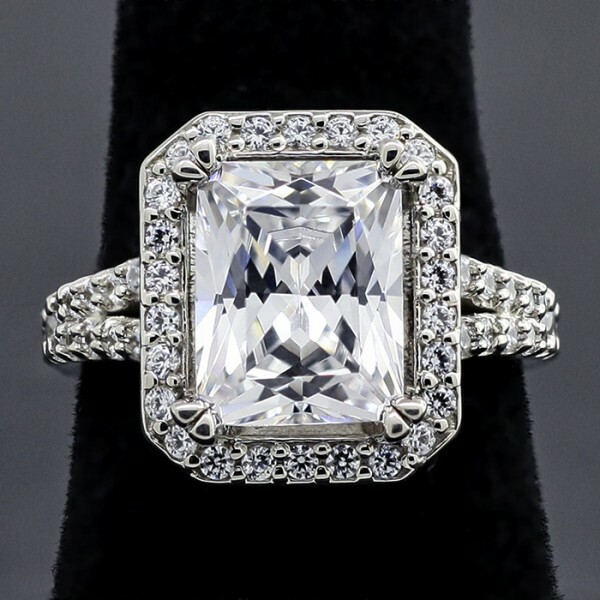 Split-Shank Radiant cut Halo Ring with 3.18 carat Center - 14k White Gold - Ring Size 5.50 was added to your cart. This split-shank beauty is one of a kind. The 3.18 carat Radiant cut Nexus Diamond is set off by a stone-encrusted halo and the split-shank gives air and light to the setting. The 14k White Gold setting adds elegance to the design. Center stone: 3.18 carat Radiant Cut Nexus Diamond, 4.07 total carat weight.